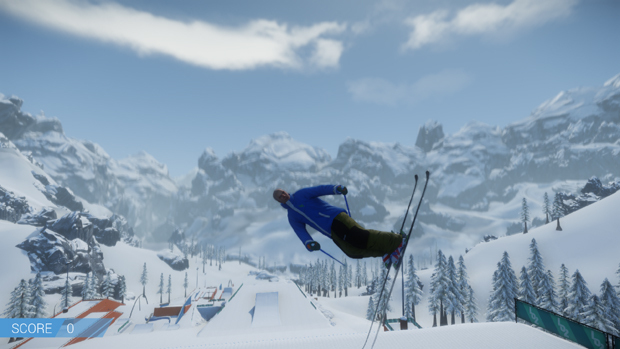 SNOW is a realistic freeskiing simulator in the making, being brought to us by the 3-man team of Poppermost Productions. The game is powered by CryENGINE and is currently available on Steam as part of their Steam Early Access program. The game features beautifully hand-crafted environments designed to explore and compete it. 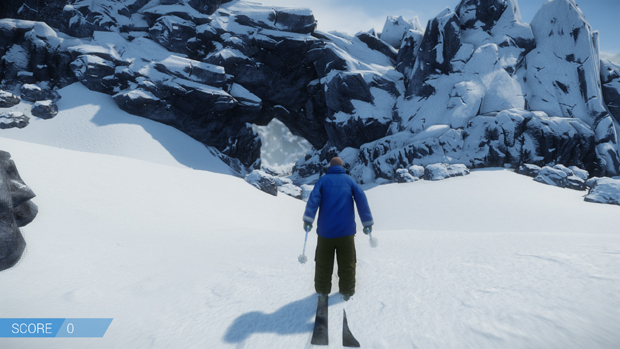 The goal of the game is to translate the thrill of skiing into a virtual environment, to offer players an as authentic experience as possible. With its free-to-play model, unique gameplay experience, and gorgeous graphics, I doubt SNOW will have trouble making an impression on the gaming community as something fantastic. The graphics in SNOW are quite beautiful. I suppose we have a combination of the CryENGINE and Poppermost’s artist to thank for that. The mountain still needs some polish and work in some areas and there are some little details that are missing from the game as a whole, but it is already breath-taking in its alpha state. It’s hard to comprehend what it will be like when everything is ready for release, as it already looks so good. I can’t wait to see the finished product with all the details added in. 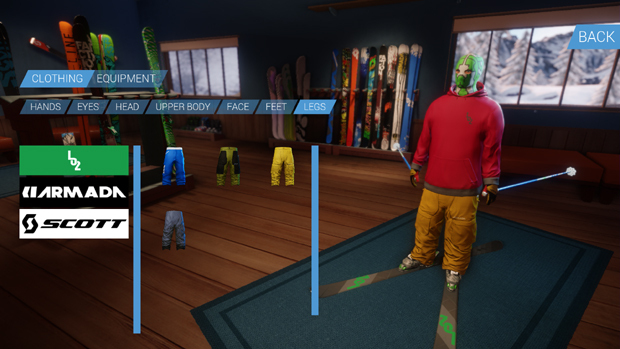 Currently the Early Access is still using Alpha Code, so I was surprised to find the beginning of the clothing customization already implemented. It was neat giving my character a unique look before jumping into the game, and can only imagine what the finished product will be like. 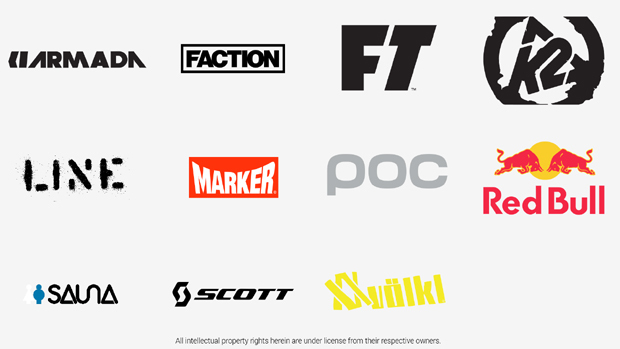 If you’re a fan of winter sports and the big-name brands that cloth it, you’ll enjoy this feature a lot. Otherwise, you’ll just enjoy making your character look however you like. I’m usually not the type to care much about clothing or looks, but I am definitely interested in seeing this fully functional in SNOW. The game will be free to play, available to anyone who has Steam. From my understanding, the game will make money from micro-transactions, mostly from selling the many character customizations and clothing they plan to have available. It’s possible that there will be micro-transactions for other things, but I can’t really figure out what at this point. I can’t imagine how it would be possible to make this game “pay to win”, however, so that’s something that players won’t need to worry about. 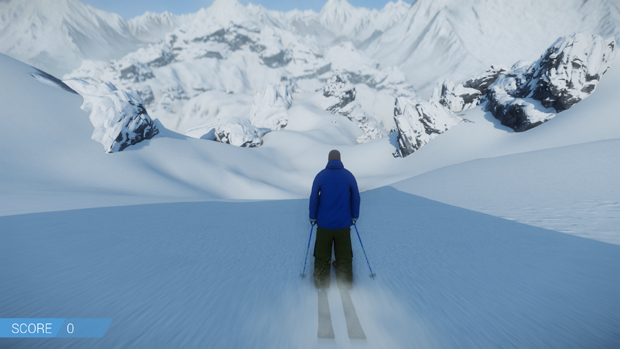 At the least, you’ll get a completely free virtual skiing experience, and at the most you’ll have a completely immersive simulator that you can pour as much money into that you want. One of the big selling points of SNOW is its massive mountain that is full of stuff to explore and experience. Even in this early stage of development, you can see some of the great hand-crafted detail that has gone into it. You’ve got complete freedom while skiing, so it’s possible to see everything on the mountain. I had a lot of fun finding ramps, fun places to just go as fast as I can before I inevitably crash, or even finding incredible rock formations. Game updates are planned for the future, which will add new content to the mountain, so even if you explore everything in Sialia (which is hard to do), you’ll get more stuff to experience as time goes on. This is the important bit, as SNOW is all about skiing. 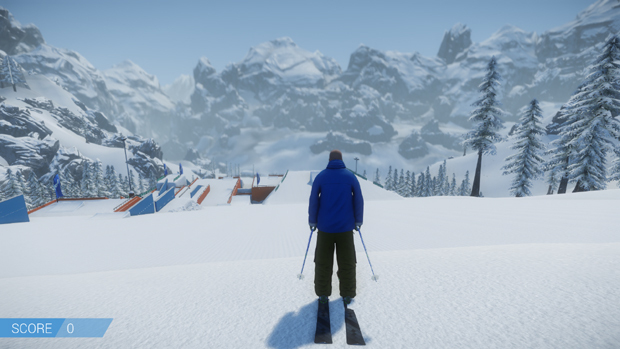 In the future, snowboarding is also planned, but for now they’re focusing on skiing until they perfect it. Honestly, I’ve never been a big fan of winter sports games so I don’t have much experience with them. And I’ve never been skiing in real life, so I can’t comment on the realism too much. I can say that, even now, the skiing seems to respond how you feel it should. There are definitely some bugs that need to be worked out and some polishing to be done, but I had a lot of fun with what was available. I was able to do tricks, which I honestly wasn’t expected at this point in development. I initially thought I’d just get to go done a few slopes and enjoy the scenery. However, the first time I accidentally went off a snow ramp and found myself doing a front flip was spectacular. I had a lot of fun learning areas of the mountain so I could get as much speed as possible and jump off the outcropping of rocks that were smooth enough not to make me crash, or the various snow ramps and buildings. Trying to figure out how to do all the possible tricks while landing perfectly was a great deal of fun. I’m starting to gain an understanding of how people can find skiing such a fun and thrilling experience, something that I didn’t have previously. The mountain has a lot of different types of areas to ski. From the competition grounds that have ramps and rails, to the wide and open areas where you can leisurely ski down a slope. My favorite areas are the ones that have a lot of opportunity to pick up speed, as I find my favorite thing to do is just to see how fast I can go without crashing into something. If you like, you can be dropped towards the top of the mountain which is full of obstacles to traverse. There’s basically something for everyone, and with more to come in the future. SNOW seems to be shaping up into quite the experience. This is what gaming is all about, in my opinion – allowing you to try things that either wouldn’t be possible in real life, or allowing you to experience things that you normally wouldn’t try. Sialia is a beautiful place and I can’t wait to see how it’s further developed. 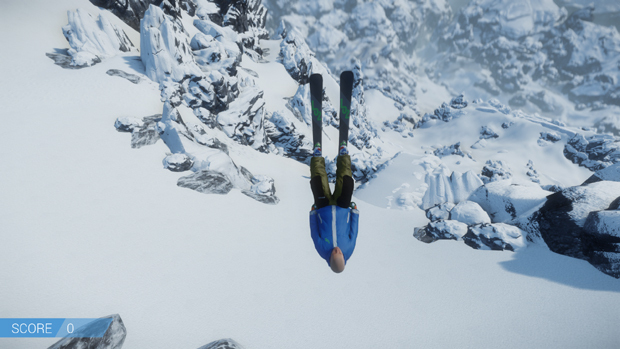 I can’t comment on the realism of the skiing too much, but I can say that it felt right and I can’t wait to see how it evolves as the game is further polished. Currently the game is available on Steam Early Access for $15, but once it’s released it will be available to play for free and multiplayer is a planned feature. I would highly suggest you check the game out once it’s released, as I plan to.